As early as 1885, Albertans knew what treasure lay in their backyards. The Banff Hot Springs Reservation was incorporated to protect the steaming, healing grottos abundant in the area, and by 1887 that vision was expanded to become Rocky Mountains Park. 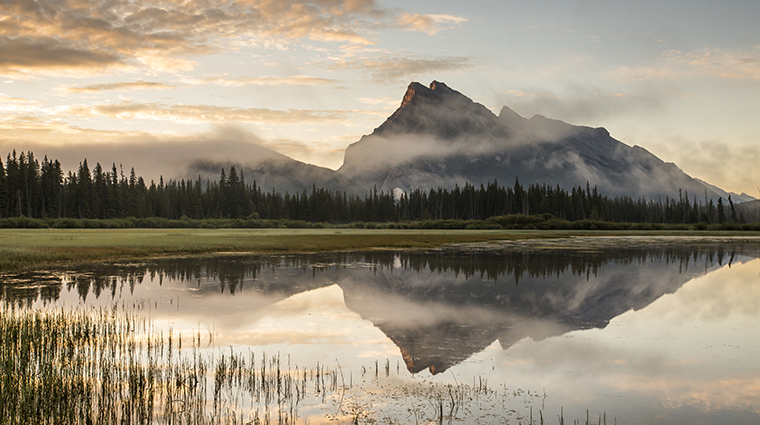 Today, the vast recreation area is known as Banff National Park — Canada’s first national park, the second in North America and only the third in the world. A UNESCO World Heritage site, the park covers 2,564 square miles. Banff comes alive each summer with its music and drama festival at Banff Centre. In winter, the Rockies provide some of the best skiing on the North American continent. A fantastic blend of both culture and natural beauty, Banff offers exciting nightlife, sleigh rides, Western barbecues, gondola rides, boat and raft tours, concerts, art galleries, museums, hot springs, ice-field tours, hiking and trail rides.